San Diego: Win Tickets to "Me and Earl and the Dying Girl"
Written by chris maroulakos on Friday, June 5th, 2015 at 2:15pm. 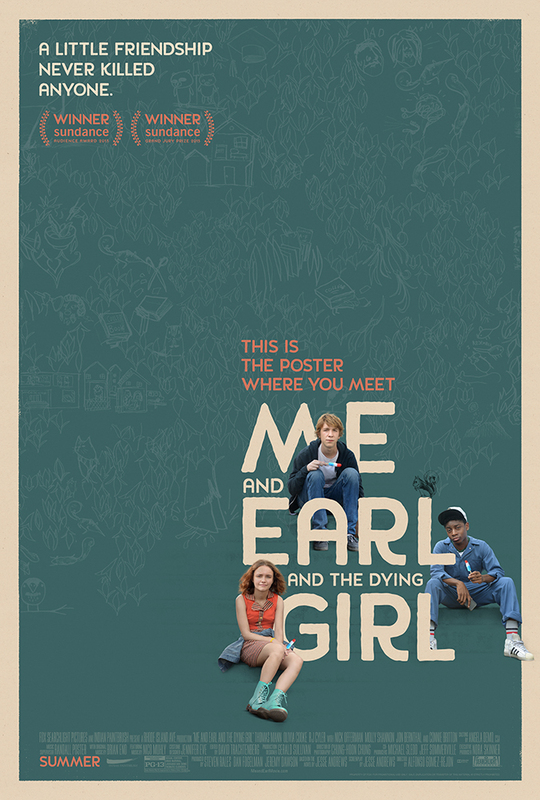 Few movies have been on the receiving end of as much praise as the upcoming Me and Earl and the Dying Girl. The feature debut from Alfonso Gomez-Rejon took home both the Grand Jury Prize and the Audience Award at this year’s Sundance festival, and everyone who’s seen it gushes about it. And now we’re giving you the chance to see the movie — and probably gush about it — early. Me and Earl and the Dying Girl tells the story of Greg (Thomas Mann), an introverted high school senior who only spends time with his best friend and filmmaking partner Earl (RJ Cyler). That all changes when Greg’s mom (Connie Britton) forces him to befriend his classmate Rachel (Olivia Cooke), who has been diagnosed with cancer. Greg decides to make a movie for Rachel, and doing so awakens a passion in him he didn’t know he possessed. Parks and Rec‘s Nick Offerman and SNL‘s Molly Shannon co-star. The trailer (which you can view above) comes across like a quirkier, more self-aware The Fault in Our Stars, but by all accounts there is much more to this film than that. It’s currently enjoying a 100% rating on Rotten Tomatoes, which is most definitely not nothing. 3) You may need to log in with your Fox Searchlight screening account or create a new one. 5) Print your pass and bring it with you to the screening on June 11. The screening will be overbooked to ensure maximum attendance, so get there early! That’s all there is to it! Hurry and stake a claim on your passes before we run out, and we’ll see you at the screening.